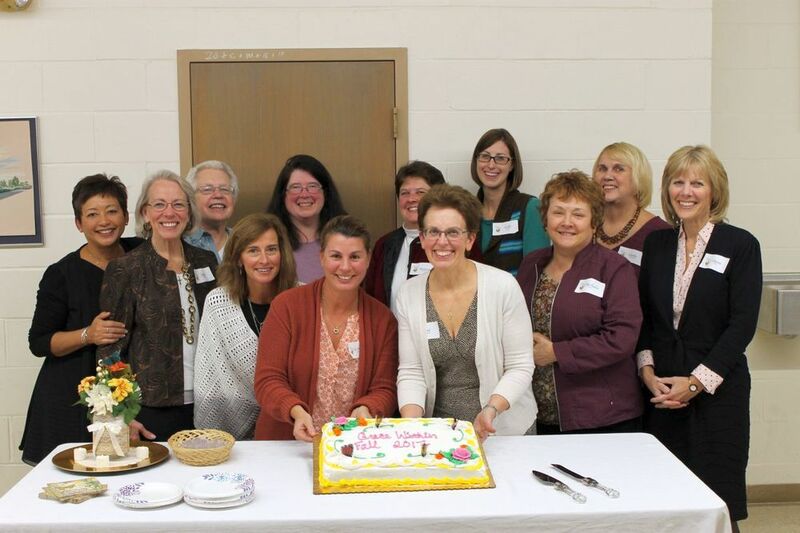 Grace Within hosts monthly meetings for all facilitators and graduates of the Grace Within Program. These are casual get-togethers held in the Lounge at 7:00 pm, typically on a Wednesday evening. It’s a chance for us to re-connect, to share our faith and to continue the wonderful relationships we have found. Past discussion topics have included: God’s Mercy, Angels, Virtues, Story of Ruth, Power In Praise, Illuminating The Threshold, Presentation of Holy Land trip, Messages of Advent and many more. Please mark your calendar and join us for the following dates in 2018! Reminder emails will be sent the week prior explaining the topic to be presented. If you are interested in leading a discussion, please contact Diane Carter at dhcarter13@gmail.com . Hope to see you there! We are proud to congratulate twelve new graduates of the Grace Within Program and look forward to continued fellowship in Christ. To date, we have had 36 women take the eight week journey of Grace Within and are thrilled to see the ministry growing and thriving. Alumni Meetings are held once a month and are open to all graduates of the program. The casual gatherings are a way for us to keep in contact with each other, enhance our relationships and share our faith on an array of topics. The meetings will be announced in the church bulletin. During the eight week program, members prepare for classes by reading and answering questions in the Grace Within journal. All members are encouraged to share their desire to learn and grow by listening and sharing, to pray and to discuss issues affecting our lives. Each participant has a prayer partner to help support and encourage her during the journey. After completing the eight week session, we look forward to welcoming new graduates into our alumni group, currently being formed. Click here to download a Grace Within flyer. Click here to download a Grace Within registration form.